Congratulations to TEAS 2010 winners! 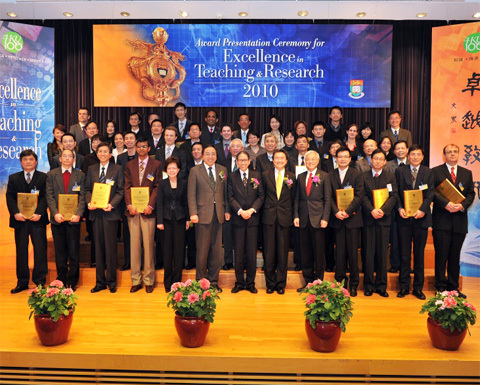 The Award Presentation Ceremony for Excellence in Teaching and Research has been held on February 17, 2011. Winners of the University Distinguished Teaching Award (UDTA) and the Outstanding Teaching Award (OTA) for 2010 were honoured at the ceremony. The Teaching Excellence Award Scheme (TEAS), introduced in 2008, is an enhancement of the University Teaching Fellowships, to signify the University’s commitment to recognizing and promoting excellence in teaching. The Scheme comprises the UDTA and the OTA. In 2010, a new Team Award has been introduced under the OTA to recognize and promote collaborative effort and achievement in enhancing Teaching and Learning at the University. Dr. Tsing has been selected to receive the UDTA. As Associate Dean (Teaching and Learning), Dr. Tsing has been leading the Faculty of Science in many initiatives contributing to the promotion of excellence in teaching and learning. Dr. Tsing has also contributed to curriculum design and innovation at the University level through his role as member of the Senate Teaching and Learning Quality Committee. As a teacher, Dr. Tsing has shown his passion and full commitment in nurturing students. He is highly regarded by his peers and students as an excellent teacher. In particular, Dr. Tsing has a remarkable ability in presenting complex mathematical concepts to students not from the mathematics major. Dr. Tsing emphasizes greatly on the interaction with his students and he is always willing to make extra effort to listen to students’ comments so as to continuously improve his teaching and to stimulate his students. He is among those who introduced mid-term course evaluation so that students’ feedback can be followed up in a timely manner in the remaining part of the course. Mr. Lin has been very active in projects in rural areas of China integrating local and traditional construction practices with contemporary sustainable technologies. He has successfully engaged students through Experiential Learning projects such as ‘Qinmo Village School’ and ‘Wu Zhi Qiao Bridge Renovation’, for which he and HKU have been awarded in the Architecture Review Awards for Emerging Architecture in 2009 and 2010. Dr. Pomfret is heavily engaged in teaching and learning initiatives at both the Faculty and University levels. From 2008 to 2010, he served as Associate Dean (Curriculum Development) in the Faculty of Arts, chaired the Faculty Curriculum Development Committee and the Faculty Teaching and Learning Quality Committee, and also served on the Senate Teaching and Learning Quality Committee. In addition, he has made valuable contribution to the HKU Common Core Curriculum since its initial conceptualization, and is convenor of the Humanities Area of Inquiry. Professor Yim is consistently ranked among the top 30% most effective teachers at the School of Business. 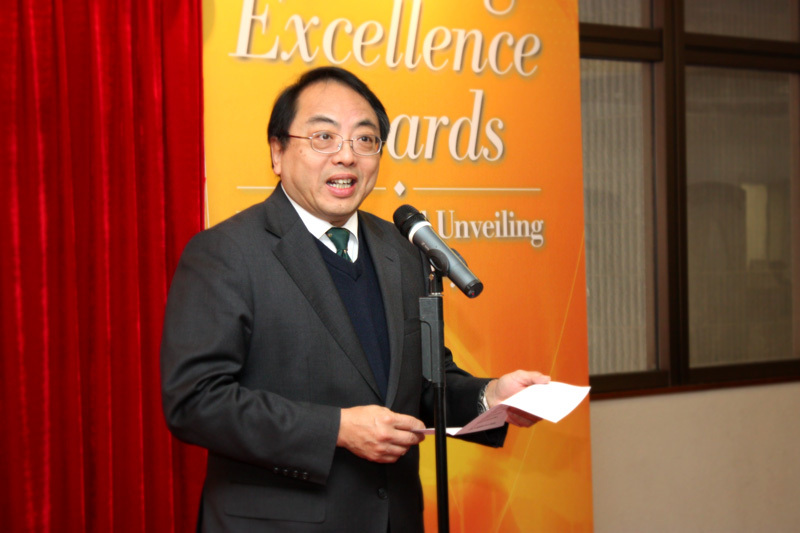 He has received many teaching awards before, including the Undergraduate Teaching Award 2005-2006 at HKU. As member of the Senate Teaching and Learning Quality Committee, Professor Yim has made many contributions to the advancement of the University’s teaching and learning. The Mingde Projects team of the Department of Civil Engineering, Faculty of Engineering, has been selected to receive the newly introduced Team Award. The winning team, led by Mr. Peter K.K. Lee, consists of the following members: Professor L.G. Tham, Professor Albert K.H. Kwan, Dr. Ray K.L. Su, Dr. D.J. Guo and Dr. Y.P. Huang. 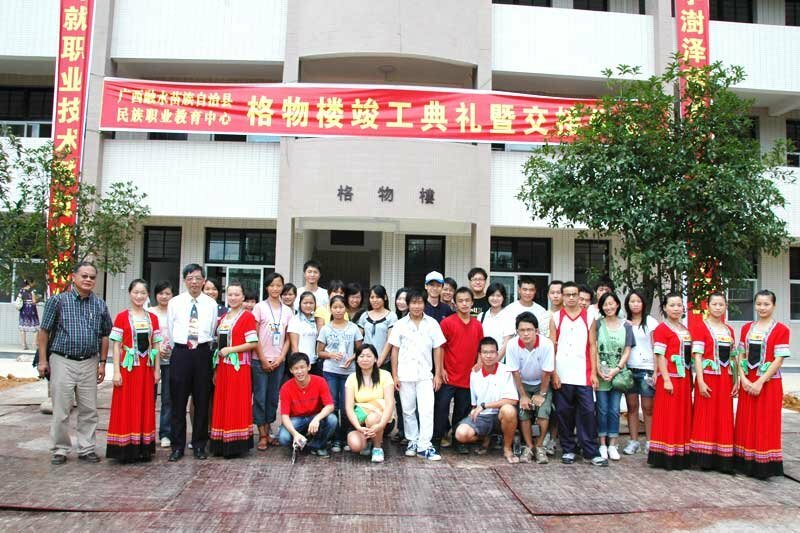 The Mingde Projects have so far involved the construction of a primary school, a dormitory for a vocational training school, and a kindergarten in the Guangxi and Sichuan provinces of China. In the undergraduate curriculum of the Department of Civil Engineering, experiential learning in the form of project-based design is a compulsory component. 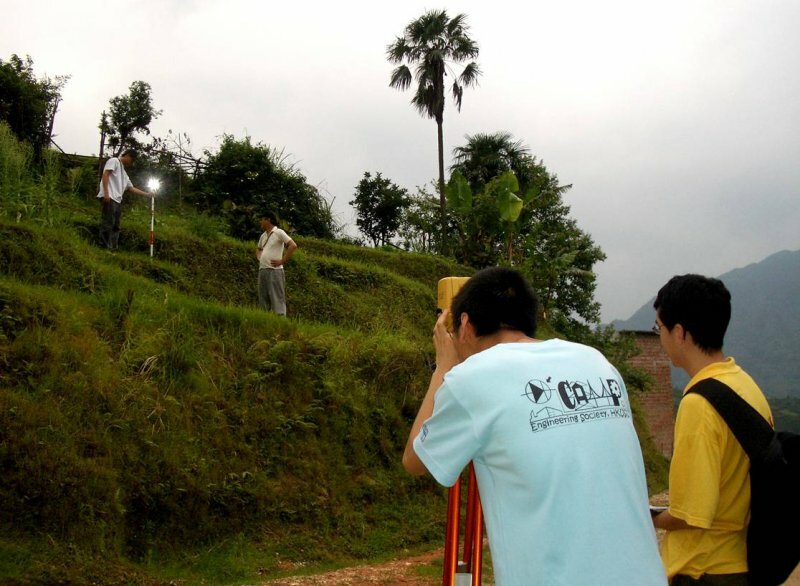 The Mingde Projects represent a step of advancement in providing a platform for experiential learning. Students are exposed to new technical and social challenges when they design and build structures in an entirely new environment. They must apply their knowledge, initiative, problem-solving abilities and courage to achieve a set of goals. 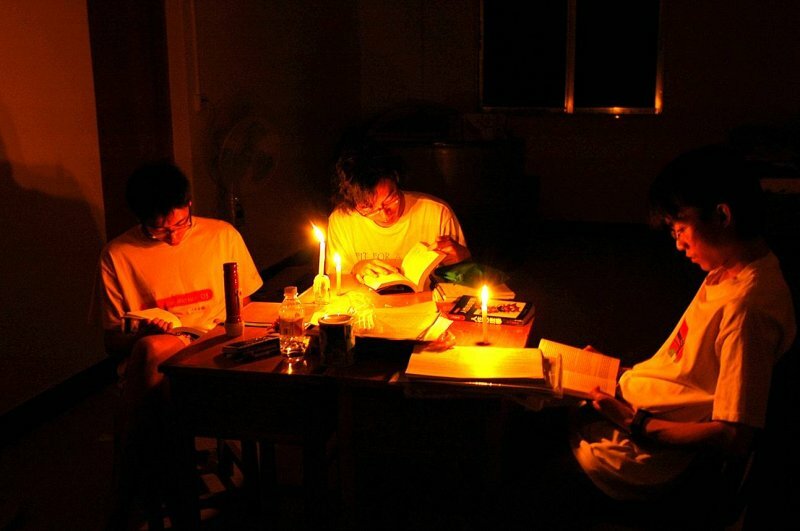 From 2004 to 2010, the Mingde Projects have gained increased popularity among students. Under the leadership of their very committed teachers and volunteer advisors and mentors, participating students have grown both intellectually and personally. The Selection Panel has been deeply impressed by the achievements and contributions of the awardees as they have all clearly met the criteria specified in the respective awards with regard to (a) teaching and engagement with students and their learning, (b) curriculum design, renewal and innovation, and (c) leadership and scholarship of curriculum design and innovation in teaching and learning. The awardees will be honoured at the annual Award Presentation Ceremony for Excellence in Teaching and Research, which has been scheduled for Thursday, February 17, 2011; and their names will be posted for a period of five years on the Teaching Excellence Awards Honour Board in the Main Library. Many congratulations! I would like to thank Professor Amy B.M. Tsui, Pro-Vice-Chancellor (Teaching and Learning) for her leadership in championing the TEAS and Professor Michael J. Worton (Vice-Provost, University College London) for his expert advice as an external member on the Panel for two consecutive years. My sincere gratitude is also extended to the other members of the Panel: Professor Michael T. Prosser (Executive Director of CETL), Mr. Richard A. Glofcheski (Department of Law – UDTA winner in 2009) and Mr. Jacky K.C. Yiu (student representative). Last but not least, I wish to express my deep appreciation and gratitude to all the other nominees for the UDTA and OTA, for their deep devotion and sustained contribution to promoting excellence in teaching at this great University. I look forward to seeing you all at the Ceremony on February 17.